Prime Minister Narendra Modi announced on Wednesday women officers in the armed forces, recruited under the Short Service Commission, could now take up permanent commission. 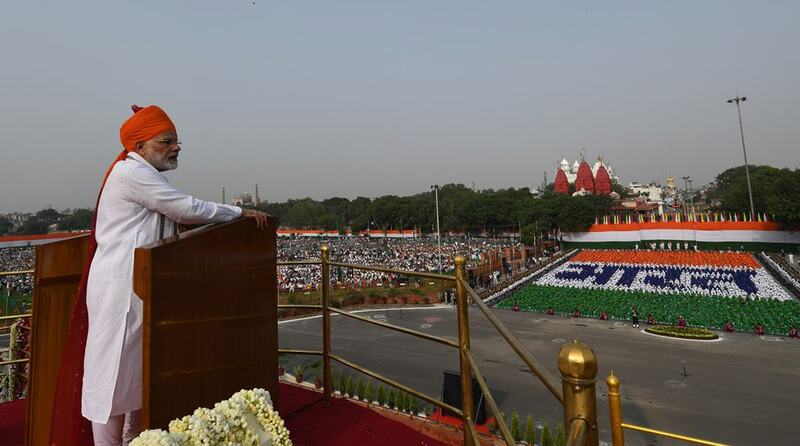 Addressing the nation from the Red Fort on the occasion of 72nd Independence Day, he described permanent commissioning of women in the armed forces as a “gift” to the “brave daughters”. “I want to give a good news to our brave daughters. Women officers who have been appointed through the short service commission in the armed forces will get permanent commission through a transparent process. It is a gift for them,” Modi said. While it was not clear immediately if permanent commissioning would pave the way for women’s entry into combat positions in the Army and the Navy, according to reports, the government is likely to come out with a comprehensive policy in the next couple of months on permanent commissioning of women in the Army, Navy and the Indian Air Force. The Indian Air Force has already started induction of women as fighter pilots. Defence Minister Nirmala Sitharaman thanked Modi for making the announcement. Permanent commissioning allows officers to serve till the age of retirement, while SSC allows tenures ranging from five to 14 years. Both the Navy and the IAF recruit women pilots under the SSC scheme. The Army recruits women SSC officers in air defence, engineering, signals and services streams. A case relating to permanent commissioning of women in the Army is pending in the Supreme Court. The government had gone the apex court after the Delhi High Court ordered it in 2010 to give permanent commission to women Army officers on short service commission. In April, the Centre told the Supreme Court that it was considering granting PC to women Army officers recruited under the SSC scheme. A group of such officers had approached courts seeking PC status.